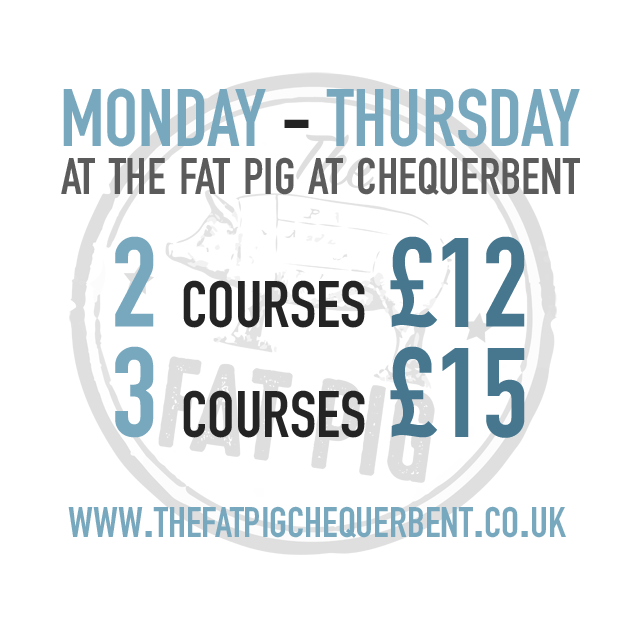 Did you see the amazing weekday offer on our new menu? There are some supplements on steaks and grills, but the rest of the menu is all covered. ENJOY! Keep up to date with what's on and promotions at The Fat Pig and across the Heritage Inns estate by signing up for our newsletter.